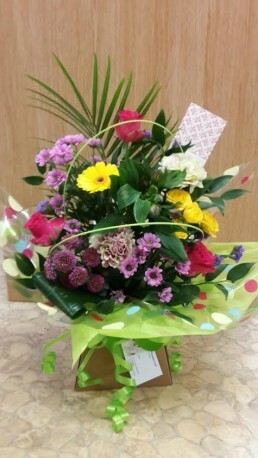 A beautiful mixed arrangement in oasis in a castle box. 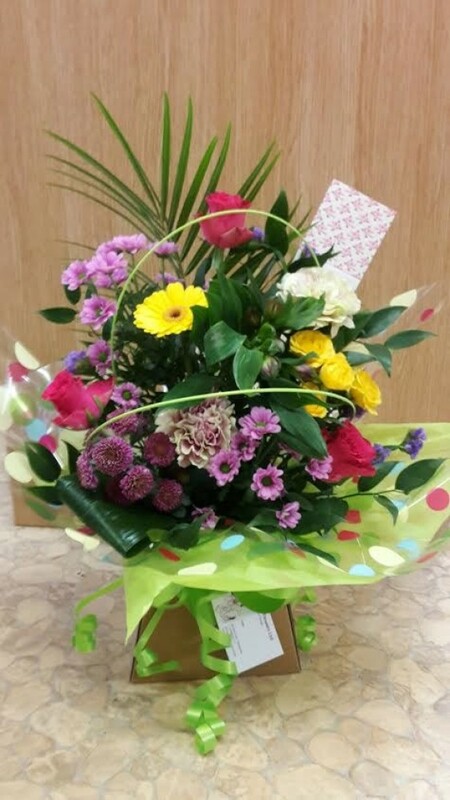 Perfect for a cheerful occasion. Flower content may vary due to fresh stock or availability. For more information call us on T: 01948 661111 or order online.